What is the free PowerPoint download template for? Presentation is required when you’re looking for the investors. You should visually present your project, catch them, introduce visual arguments of why should they invest in your project, and give the forecasts regarding the expected profit. How to make a presentation for the investor? Our free PowerPoint download template will help you in this task! The main objective of the presentation is to interest the listeners and attract their attention. Sometimes, it happens that really profitable realizable ideas remain unnoticed due to its wrong presentation. The speakers fail to explain the essence of the project, choose the right images, words, figures. Therefore, you see how important is to make a high-quality professional presentation. If you’re going to present your product, idea, service to the public, the presentation is what you need. It is the most appropriate tool in such cases. Such way of information presentation helps to briefly, but at the same time clearly and visually acquaint the investor with your startup. The professional report template serves as good assistant and support. Visual aid is designed to prove your words and demonstrate statistics, figures, and other supporting information. Therefore, if you forget some point in the course of speech, it is possible to look at the slide and find it. It is important to make your presentation not boring. If it is overloaded with texts, the listeners will get bored after the third slide and loose interest. A professional template should include various visual elements that diversify your speech and visualize some complex or boring information. These include schemes, charts, timelines, other models. On our sample, you can find all these tools. Information visualization allows you to convert complex statistics, figures or other facts into a vivid attractive chart. Logic structure and coherent speech contribute to better topic understanding. If you sound logic, your speech is coherent and points are presented consistently, your audience will better get the essence of the speech. High quality. If you want to prove your expertise and impress the audience, it is important to use high-quality slides because it happens that the template may lose quality when it is displayed on high-resolution screens. Unfortunately, some speakers face such inconvenience. If you want to avoid such unexpected trouble, pay attention to this sample. Our template is of excellent quality. Working with it, you can be sure that your visual aid won’t have such defects as cut edges, blurred slide, or visible pixels. This business portfolio template is the choice of professionals. Free download. 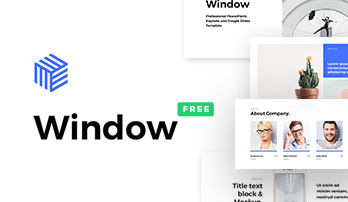 What can be better than to get a professional high-quality template for free!? Do not waste time, download it and work with pleasure! Modern design. Our slides are of modern minimalistic design. It is a multipurpose design that suits any business report or marketing project. Nowadays, it is quite popular. Although some of you thinks that design doesn’t play a significant role in the success of your speech\project, they are wrong. Too bright or saturated colors will distract the listeners from your speech. As a result, you’ll go unheard. Built-in tools. This professional report template is well-equipped with a wide range of necessary elements that ensure quick and convenient work. Due to them, you can edit such characteristics as size, colors, shape in two clicks. This option is designed to extend your opportunities while working with the template. A multipurpose template. The structure and design of this template make it possible to use it for a great number of purposes. It is suitable for reports, projects, business ideas, proposals, startups, and other works. Many employees, entrepreneurs and businessmen appreciate these slides. Premade easy-to-use slides. 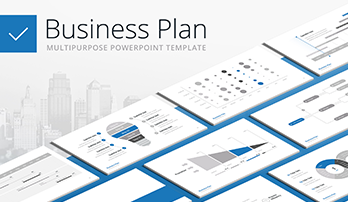 In addition to all its features, this free PowerPoint download template is able to save working time and simplify job responsibilities. You’ll be able to spend less time on the creation of the presentations. Besides, the use of premade slides allows you to avoid typical mistakes that are frequently made by those specialists who decide to create the template on their own. Moreover, any user will manage it. Your level of computer skills absolutely doesn’t matter. Do not forget that there is no need to place all text on the slide. present you topic with the help of thesis, diagrams, and other visual tools. A win-win option to develop presentations is to focus on numbers, but use them wisely. It becomes the most convincing argument in making a decision on the part of the investor. Think about questions, your outfit, gestures. Do not forget that you are likely to get a bit nervous, so it is wisely to repeat everything in advance. Such pie chart PowerPoint template combines all necessary features required for the creation of a professional project. 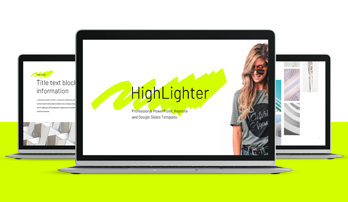 You can get it free, use it without restrictions, and create worthy presentations.